DA has been forgetting his pleases and thank you’s a lot lately. He’s also developed some unpleasant manners like looking away when being talked to, not answering when being called, etc. I wanted to get him a book that we can read regularly to remind him of how to act and behave properly. I find that seeing the pictures in books are more effective than just verbally repeating it to him so I scoured the bookstore. Instead of getting a book however, I found these flash cards, which seem better. 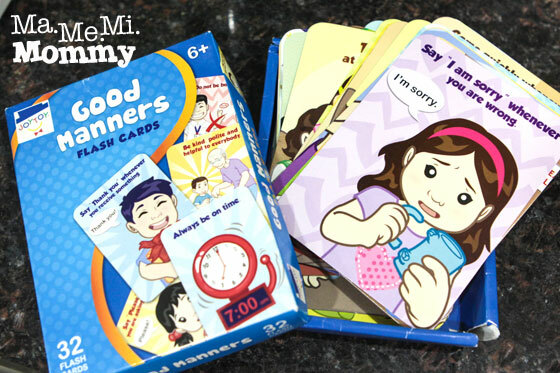 Inside, there are 32 flash cards that cover manners used at home and outside. We go through this regularly with me showing him the flash card one by one and asking him what the right thing to do is in a given situation. I’d use real life situations as references for him to see the application. Remember that time when you broke granny’s clock? What should you do? I would ask him. He’d answer correctly saying he has to say sorry. Remember that time when daddy was calling you and you had to ask why and not immediately go to daddy? Was that right or wrong? Wrong, he would say. He likes this practice, asking that we finish the whole set everytime. Whenever he forgets the correct manner to use, I would always use the flash cards to remind him. 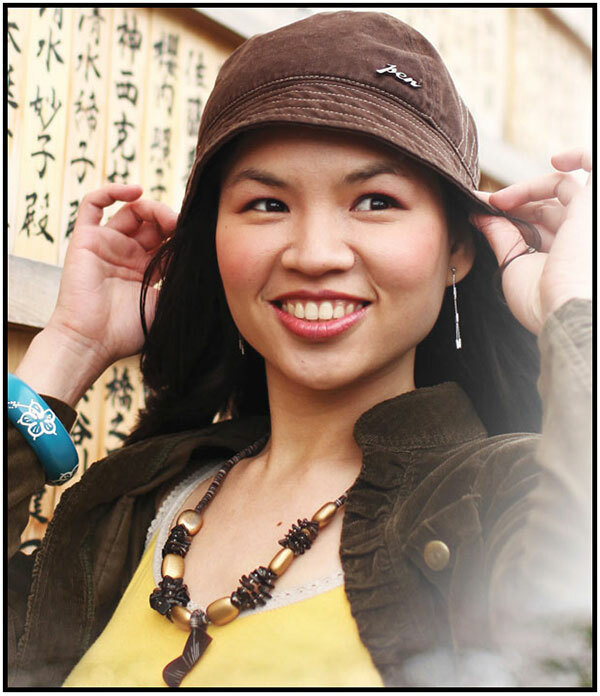 I don’t bring it with me at all times, I’d just mention it to him, Remember in the flash card, what do you have to do? Or do we have to review it again?” He gets it and makes the correct choice.